I don’t know about you, but when I have big decisions to make, I start with prayer. 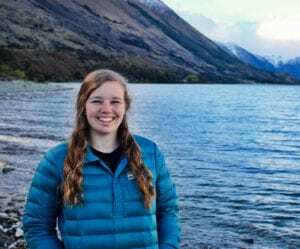 In my final year of high school, I was deciding whether to go straight into a four year university, or to go to Hillsong for Bible College, I didn’t know what to do. I spent time going back and forth, I prayed and prayed and didn’t hear the audible voice of God, I prayed and I didn’t receive a sign or prophesy, I sought counsel and got differing opinions. I didn’t know much about bible college, I didn’t know what my year would look like, I didn’t know what classes I would take, where I would live, I didn’t know a single person, yet I felt at peace about it. I wasn’t anxious, I wasn’t unnerved at the idea of not knowing the plan, I was at Peace. What does God’s peace look like? I didn’t know before, but once I identified it, I could never mistake it. God’s Peace is not the absence of trouble, hardship, or trials… but it is the presence of God in your situation and in your life. God’s peace cannot be achieved on our own… it is the living power of God that triumphs over situations, and it is his presence that is amongst you in the trial. St Augustine in his ‘Confessions’ “God alone is the place of peace that cannot be disturbed.” It is peace that doesn’t come through understanding, but through trust in God, it transcends reason and settles the soul. Here in Colossians, Paul describes peace as “soul harmony…” your soul in harmony with God. It is Jesus’ peace, his reconciliation that brought us together with God… that bring our souls into harmony with him, his character, his presence, and his plans. 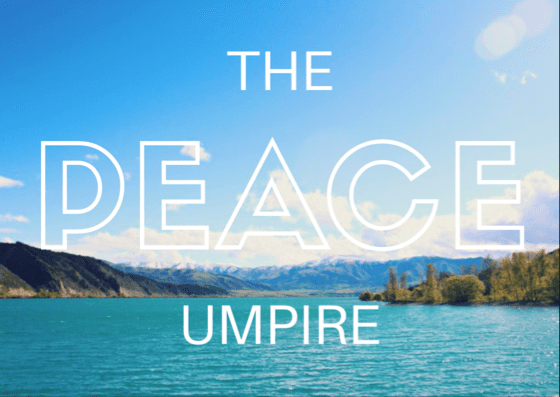 Paul says here to the Colossians… “and let the peace from Christ, RULE.” The word RULE here in this passage is the GREEK word, “brabeueto” which translates literally to “To act as an UMPIRE.” In sports, there is the umpire who determines when rules are violated, and settles differences of opinion. The Umpire makes the final call. Similarly, peace rules the controversies that rage in our hearts. The peace of Christ is what can settle the disputes within ourselves, when it comes to big decisions or even the small decisions we face day to day. God is the umpire of peace, He rules, he makes the final call and we can know it by the sense of his peace. Letting God be the peace umpire requires trust. We have to know and trust that as Romans 8:28 says, “God is weaving everything together for the good of those who love Him.” We were designed for dependence on God… trusting that He knows what He is doing, and what is best, will allow you to give God the lead and guide you in peace, that where his peace leads, it is for your good, and to further his kingdom. Paul tells the Colossians to, “be thankful, giving praise to God always.” Always! It doesn’t mean once you get your answer, it doesn’t mean once your trial is over, it doesn’t mean once things are going good…. always means always. Paul encourages them to be thankful always, IN the midst of their trial, IN the waiting, IN the anxiousness, IN the hard times. To Praise God for his peace, Praise him for his character, for his faithfulness, and unchanging nature. Thank him for wanting relationship with you and wanting to rule over your situation. Because, thanking God, and praising God shifts your perspective, it moves the focus from your situation to his power and control. It is hard to make a decision when you are stuck in the trenches of the world, but when you lift your head above the clouds of the world and praise God and thank him for all the situations when he has provided, when you remember the grand scheme of things, and put things in their place, with God as number one, it often times answers the decision for you. When life is turning around you, and you are losing your sense of peace, keeping your eyes focused on God, through thankfulness, will allow him to make the final call, and be the peace umpire of your life.